MAXIMUM man Jacob Thorssell inspired Wolverhampton to a 48-42 win over reigning Elite League Champions Poole at Monmore Green. 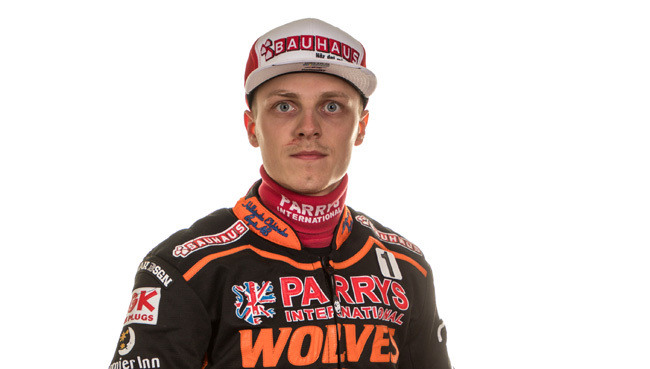 The super Swede was in scintillating form to produce a faultless display as the Parrys International Wolves secured a fifth straight win to send them joint top of the Elite League. Their win may have come at a cost however, with reigning World Champion Tai Woffinden sent for x-rays on his thumb after an awkward landing in a spill in heat nine. 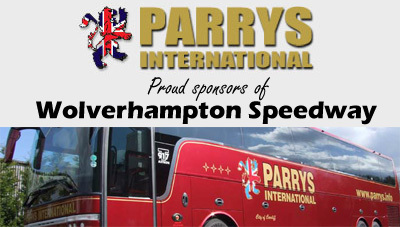 Wolverhampton promoter Chris Van Straaten said: "We made very hard work of seeing off an understrength Poole team but it's another important win nevertheless. "We had a few shining lights; Jacob rode brilliantly and he's a rider we've rated for a very long time. "He's what I'd describe as a slow burner but he looked top quality tonight and congratulations to him on his maximum. 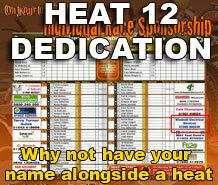 "I was impressed with Kyle Howarth as well tonight and Sam Masters pulled off a couple of good rides too. "All seven contributed some important points but Max (Clegg) struggled and we wait and see what the x-rays say with Tai." Thorssell completed a five ride unbeaten night, including the victory in heat 14 which guaranteed the Monmore men three more Elite League points. Sam Masters enjoyed a solid return to the side after missing last Monday's double-header while Kyle Howarth put in a determined showing at reserve. Freddie Lindgren and Peter Karlsson both chipped in with one race win apiece on an up and down night for the Swedish pairing. Woffinden bagged two second places before his spill in heat nine while Max Clegg scored a creditable three points after riding through the pain barrier following a heavy crash at Edinburgh last Friday. 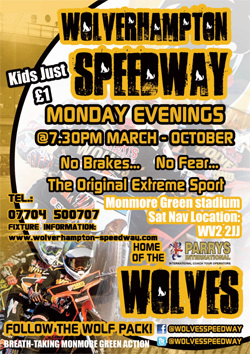 The Wolves are back in action at Monmore Green next Monday when they wrap up their regular Elite League programme against Midland rivals Coventry. 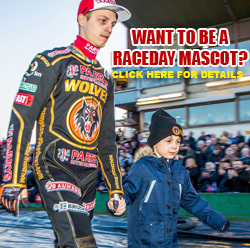 WOLVERHAMPTON 48: Jacob Thorssell 15, Sam Masters 8+2, Kyle Howarth 7+1, Fredrik Lindgren 6, Peter Karlsson 5+1, Tai Woffinden 4+1, Max Clegg 3+1. POOLE 42: Scott Nicholls 11+1, Kyle Newman 9+2, Brady Kurtz 8, Bjarne Pedersen 7+1, Adam Ellis 7, Nicolai Klindt 0, Chris Holder r/r.